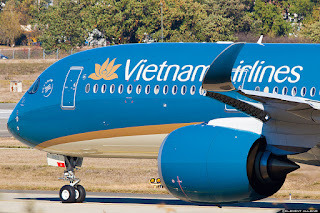 A350 XWB News: 4th A350 for Vietnam Airlines delivered. MSN17 has been delivered to Vietnam Airlines today, which makes the 12th A350 delivered to 3 customers. 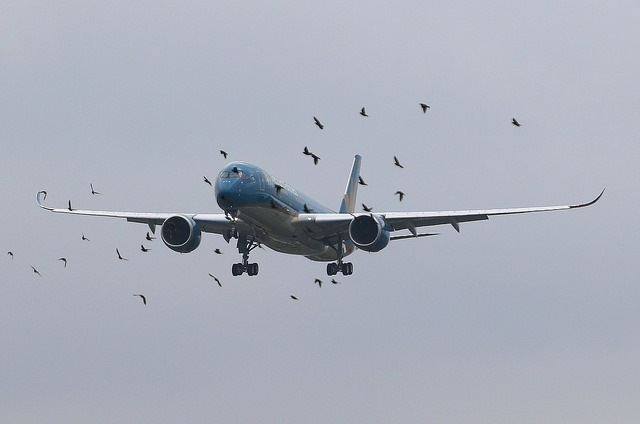 With register number VN-A889 (test registration F-WZFL) she was airborne last 30/October. 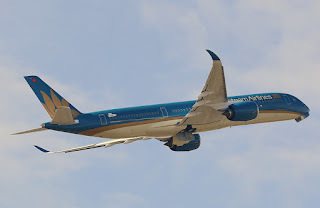 During this period of time of 1 month, 2 flight test and the Customer Acceptance flight (on 16/Nov) were performed before today´s delivery flight to Vietnam Airlines hub at Hanoi. This A350 will probably join Hanoi-Paris (CDG) route that was opened on 30/Sep. 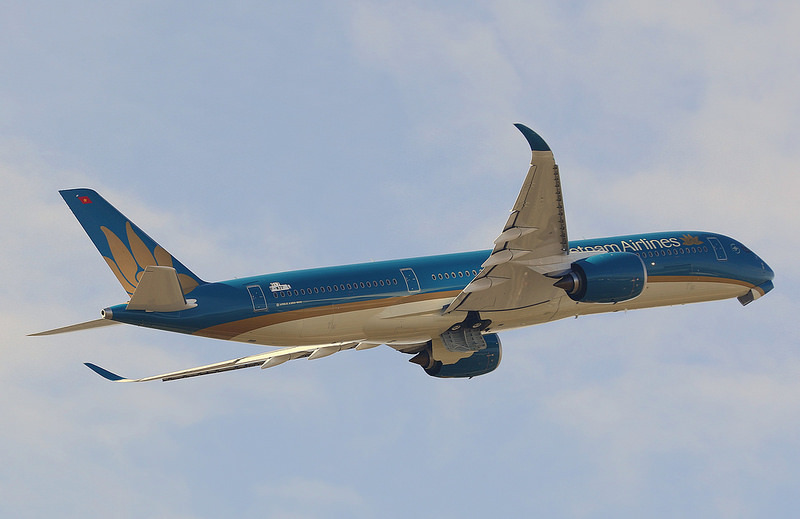 The previous A350 (MSN16) was delivered to Vietnam Airlines on 20/Oct. 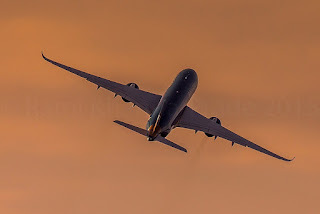 The end-of the year target to deliver 15 A350s in 2015 is still challenging. And in January/2016 the first deliveries of the year will be MSN23 Finnair and MSN12 Qatar. First picture looks like a bird strike in progress! The rarity here is the aircraft. Finnair deliveries for nthis year will be in 2016 as will outstanding Qatar aircraft,the only probable other aircraft this year is Tam Airlines,which in Flightline right now but as it says above it takes a month to do 2 test flights plus a customer acceptance flight, that too could be 2016. So I would expect no further deliveries this year. See you all in the New Year-Happy Christmas all! 12th A350 delivered, the 11th this year. There are still 4 more planes to deliver to meet the low-end of the goal for 2015. Apparently there are 3 for Finnair and 1 for TAM. We'll see which of those make it out the door.